On the rare opportunities we get to BBQ in Scotland, flamegrilled Aberdeen Angus steak is one of our favourites. 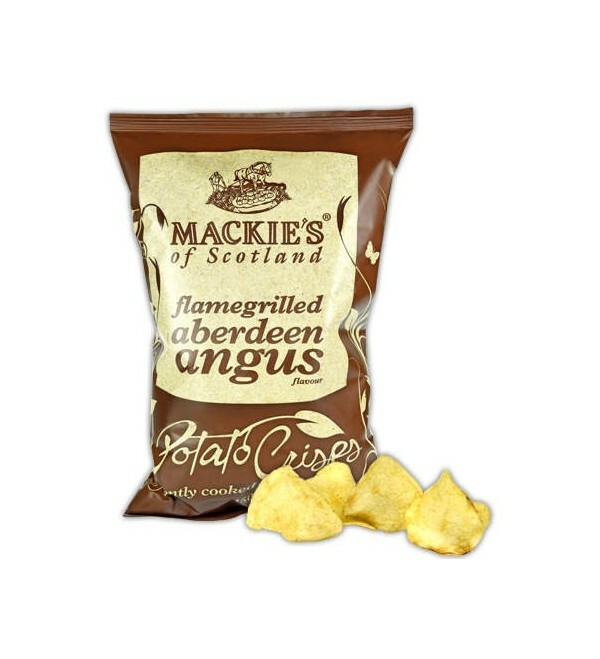 And it’s that flavour we’ve aimed to re-create with our distinctly Scottish crisps. On the rare opportunities we get to BBQ in Scotland, flamegrilled Aberdeen Angus steak is one of our favourites. 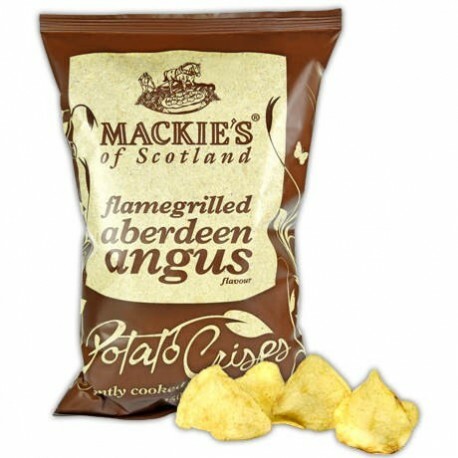 And it’s that exact flavour we’ve aimed to re-create with our distinctly Scottish take on steak-flavoured crisps. Ingredients - potatoes, sunflower oil, flamegrilled Aberdeen Angus seasoning (7%) (yeast extract powder, maltodextrin, salt, onion powder, sugar, lactose (milk), tomato powder, dextrose, natural flavourings, acid: citric acid, caramelised sugar powder, Aberdeen Angus beef powder, vegetable extract). Ingrédients - pommes de terre, huile de tournesol, flamegrilled Aberdeen Angus assaisonnement (7%) (extrait de levure en poudre, maltodextrine, sel, poudre d'oignon, le sucre, le lactose (lait), poudre de tomate, dextrose, arômes naturels, acide: acide citrique, poudre de sucre caramélisé , Aberdeen Angus poudre de boeuf, extrait végétal).